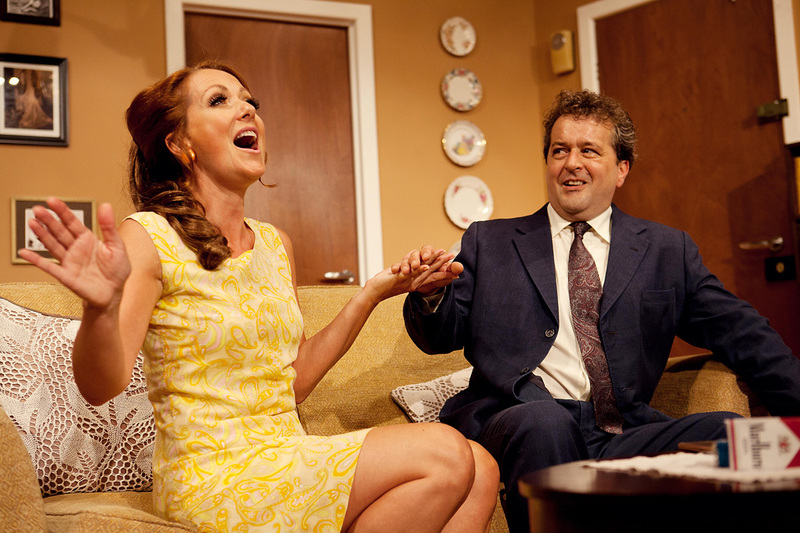 Neil Simon’s Last of the Red Hot Lovers is a decent play but nothing out of the ordinary. What is out of the ordinary is where Esk Valley Theatre perform it. Amateur dramatics faces an uphill battle against being dismissed as amatuerish – sometimes this impression isn’t fair, sometimes it is. But nothing has a worse reputation than the dreaded village hall play. The wonderful Social Stereotypes portrays the typical group as Chalfont St Oswald, where Pamela writes the play, directs the play, writes the songs, and casts herself into all the most glamorous parts even though she’s far too old for fishnet tights. The equally wonderful Hot Fuzz has an equally unflattering portrayal of a village hall production of Romeo and Juliet. Whether this reputation is warranted is open to debate, but I can see one big problem: if your intended audience is the rest of the village and everyone in the village knows someone in the production, there’s not much motivation to try to be any good. But not every village hall wants to settle for “Didn’t they all try hard?” this cannot be truer than in Glaisdale, home of Esk Valley Theatre. This runs one month every year in August, and it’s converted into a makeshift theatre with temporary seats and lighting. Nothing out of the ordinary here; plenty of venues are temporary theatres that have other functions the rest of the year, such as most of the spaces at the very famous arts festival that runs during the same month. But here’s the unusual bit: in spite of the Glaisdale barely scraping a population over 1,000, it has a fully professional cast, and audiences come from all over the North York Moors. It’s endorsed by Alan Ayckbourn and Pip Leckenby, who designs most of the sets for him, is usually the set designer for their plays.